At Vox we believe that one of the most important things we can do to help us learn how to follow Jesus in life is to study the teachings that he left us in the Bible. We also believe that this can be a difficult and daunting task to a lot of people. To make it easier we spend time studying the Bible together on Sunday mornings. Sometimes we’ll work through a specific book of the bible. Other times we’ll deal with various topics we’re struggling with as a community. Doubts are always welcome. We even sometimes have a chance for questions and comments to be heard and wrestled with during the service. At Vox we don’t think we were ever made to figure out how to follow Christ on our own. We believe that the study of scripture and discipleship is something that is best done in community, together. So we have a discussion group that gets together every Thursday night at 6:30PM. We meet together to discuss what it means to be a disciple of Jesus. Then we talk about what that looks like in our lives on a daily basis. Sometimes this means we end up discussing the message that was taught at our weekend gathering the week before. Other times we chose a particular passage of scripture. It is a way for us to wrestle in community with this thing called faith. We know we learn best when everyone has a chance to be heard. Unfortunately, child care is not available at our discussions. Right after God created the world he realized that people aren’t designed to live life alone. This is something we really believe strongly in. We believe this starts with our time together on Sunday morning. We do this through connecting, worshipping together, celebrating the good and working through what life throws at us. But that has never felt like quite enough to us. We are always looking for new ways to care for each other, connect with each other, and basically live our lives interconnected with each other. In the summer we host Vox BBQ’s. Throughout the school year we have a monthly social and a Men’s Night and Ladies’ Night. Our Christmas Coffee House is a highlight of the year. And we regularly encourage folks to live out the ‘Rule of Three’: eating three meals a week with folks who don’t live with you. We also spent a lot of time involved in helping our community, and we’d love to have you join us in this – whether moving boxes, helping raise money for our refugee family or on a work project. We also believe that discipleship is more than just bible studies and discussion groups, so once a month we get together just to enjoy each other’s company and share life. We take turns hosting these events in different homes around the city. These evenings are open to the whole family to attend, so bring the kids along and maybe something good to eat to share. If you have mobility or other accessibility concerns, please contact us and we can work together to find ways for you to attend. Check out the Vox Community Calendar to see what’s happening this week! To make it easier for folks to connect between ‘official’ events, we have a couple of private Facebook groups that we use to share concerns, needs, joys and successes. We also use these groups to let folks know about upcoming ‘ad hoc’ events. Whether you want to share it with our Facebook groups or would like to keep it more private, sometimes things come up that are hard. At Vox, we believe that prayer is important, and that it can change our circumstances or make us feel more supported when they don’t change. If you would like prayer, please email [email protected]. This email will go directly to a pre-selected group of folks who have committed to praying for you and keeping your requests confidential. At Vox, we know that reaching out can be hard, but we know that the more you reach out, the more connected you’ll feel. Keep an eye on the church calendar for any events that are coming up you might want to attend. 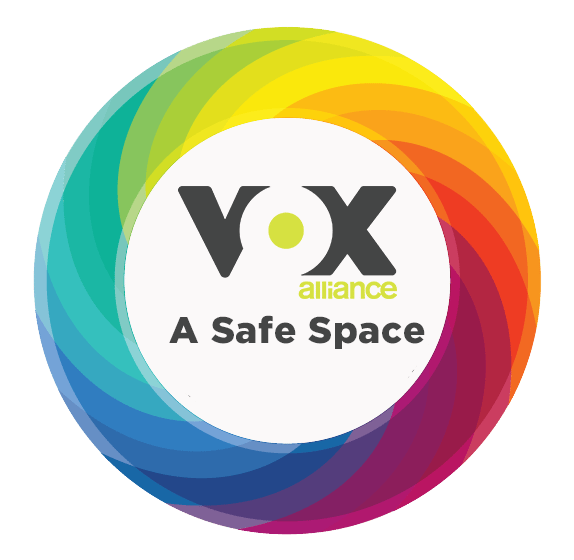 Vox Alliance Church is led by our Lead Pastor – Nathan Barnes – our Associate Pastors – Roy Snow and Christina MacBean – and our Board of Elders. If you’d like to learn more about any of our leadership, just click here.